A 2014 study from the Annals of Vertebral Subluxation Research notes that chiropractic adjustments could help reverse and prevent autism and issues identified on the autism spectrum. The patient was an adopted three-year-old girl who was conceived at 28 weeks. She weighed 2 pounds, 5 ounces, and was born of a mother with a history of drug abuse. Following two years of abnormal behavior and multiple “autism” diagnoses from doctors, her foster parents chose to take her in for an intensive developmental evaluation. The three year-old failed vice critical tests: social/emotional, communication, cognitive, adaptive/self-help and sensory. Their chiropractor was tasked with reducing such symptoms as common neurological autism manifestations, unrelenting headaches, acid reflux, vomiting, sleeplessness and seizures. The children’s parents soon visited a nearby chiropractor, hoping he could provide them with solutions to severe problems. The chiropractor was tasked with reducing such symptoms as common neurological autism manifestations, unrelenting headaches, acid reflux, vomiting, sleeplessness and seizures. Subluxation-based specific chiropractic care was performed on the patient, which brought about total relief of her headaches, acid reflux, vomiting and sleeplessness within the month. Improvements in extreme autism-related issues were likewise noted. These included: calm behavior, increased eye contact, happier demeanor, improved attitude, increased focus and attention, and an initiation to sound out words. The tests report that the patient continued to advance as confirmed by an expanded vocabulary. Additional improvements were proven in her focus and disappearance of epileptic seizures. As indicated by her mother, the patient from this test has been “off all of her medications, she’s making improvements with her occupational therapists, speech therapists, even her pre-school teachers are noticing a big difference. I’m getting my little girl back – look, she’s making eye contact with me, and even starting to say a few words! She’ll use her hands to do the motions to the Itsy Bitsy Spider song!” Her mom cannot express enough the impact that chiropractic care had on her daughter. If you damage or compress or otherwise interfere with the neurological structures in the spine this can have far reaching implications on the functioning of the body. 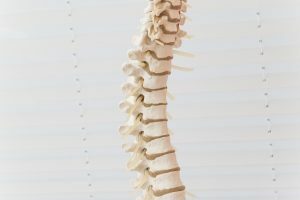 One theory suggests that once those spinal distortions are corrected, the body is better able to balance its physiology. “Finding the cause of autism, and not simply masking the symptoms, is the most effective way of managing the disease,” one author of the study explains. One such cause is believed to be spinal misalignments as well as unusual movement of the spine, named “vertebral subluxations” by chiropractors. This results in basic and neurological interference to the spine and central nervous system. It is this obstruction that may cause neuroendocrine occasions that prompt anomalous cholesterol metabolism. The theory suggests that once those spinal distortions are corrected, the body is better able to balance its physiology. In addition to this study, other researchers have discovered comparable outcomes with respect to diseases in the autism spectrum. They have noted autism to be more controllable with chiropractic adjustments, and this case is one of many studies detailing this treatment. A Michigan woman will spend seven days in jail after she defied a judge’s ruling for the vaccination of her 9-year old child. 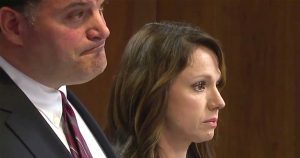 Rebecca Bredow was condemned for contempt of court Wednesday, about a year after an Oakland County judge requested her to have her child immunized. Bredow had been given until Wednesday to get her child the medicinally permitted measure of vaccination, which would be up to eight immunizations. However, the Detroit mother, refering to her religious beliefs, stated she had no intentions of vaccinating her child. Rebecca Bredow and her lawyer Steven Vitale stand side-by-side as they await the Judge’s ruling. The jail sentence is the most recent in a progressing fight with her ex, James Horne, who believes their child should be vaccinated and shares joint custody of the 9-year old. “I understand you love your children. But what I don’t think you understand is that your son has two parents, and dad gets a say,”Judge Karen McDonald told Bredow, the AP reported. McDonald allowed Horne temporary custody of their child and requested her to vaccinate the child. Additionally, McDonald said in court that Bredow’s lawyer had signed off on the November court order for he vaccination, meaning Bredow had consented to it. “It’s clear to me that you don’t care about orders even if you agree to them, which you did,” the judge told Bredow, who’s the primary care provider of her child with Horne. Benton Richardson, Horne’s lawyer, said his client means to have his child completely vaccinated. “The court was really left with no alternative except to take this action based on the fact that she’d indicated she wasn’t going to follow the order,” Richardson stated. Parental Guardians who refuse to vaccinate their child do as such for various reasons, including religious beliefs. Parental Guardians who refuse to vaccinate their child do as such for various reasons, including religious, individual and philosophical convictions, wellbeing concerns, and a need for more data from healthcare suppliers. This all stems from 2016 research published in the Journal of Pediatric Pharmacology and Therapeutics. 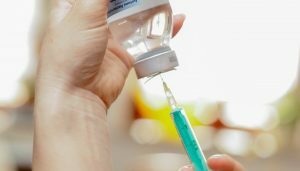 The American Medical Association have long denounced allowing parents to decrease vaccination for nonmedical reasons and have referred to a vaccine’s capacity to counteract sickness, such as, measles, mumps and other life-threatening diseases. However, three different states permit religious exclusions for vaccines. 20 different states, including Michigan, give exclusion for religious and individual reasons. Just three, California, Mississippi and West Virginia, do not permit nonmedical exclusions. In Michigan, parents or legal guardians of kids enrolled in public or private schools are required attend an informative session in which they find out about diseases that vaccines can avert, before they’re given waivers for nonmedical purposes. Bredow said that is what she had done. Additionally, she stated that she and Horne had at first consented to postpone their child’s vaccinations for three months after he was conceived in 2008. After two years, in 2010, she said they both consented to suspend all vaccines, and their child has not had a vaccine shot since. 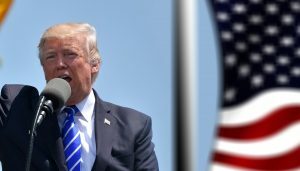 The once-subtle movement has grown over the years, and has even been endorsed by President Donald Trump. Additionally, the legal battle comes in the midst of a developing hostility towards vaccines, which began in 1998, when a medical journal distributed a now-discredited investigation connecting vaccinations with autism. The once-subtle movement has grown over the years, and has even been endorsed by President Donald Trump, who over and over proposed a connection between vaccines and autism before his run for president. In January, vaccination skeptic Robert F. Kennedy Jr. said President-elect Trump had requested that he head a new commission on vaccinations. A representative later stated that Trump was investigating the likelihood of the creation of a commission on autism. The proposal seems to have slowed to a halt. Kennedy revealed to STAT News a month ago that he has had no exchanges with White House officials about the commission since February.